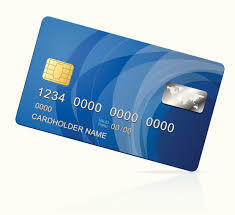 Higher Standards offers merchant services through First Data, the largest and most secure processor in the world. We give you the local service you need without a contract because we want to earn your business everyday. Our pricing is simple and extensive, which may sound a bit oxymoronic, but once you check us out you’ll understand and appreciate our approach! We don’t smoke and we have faces for radio, which means there is no smoke and mirrors in our pricing. Simple and straightforward is our approach because it is just the right thing to do. Fill out the online application and we’ll take care of making the ‘getting started’ as easy as 1, 2–we won’t even need 3! What in the EMV is going on? You would think that Paul Revere was riding through town and calamity was about to overtake us if you listen to how some folks are talking about EMV or smart cards. EMV (Europay, MasterCard, Visa) is a credit card with a chip embedded that makes a transaction more secure and more difficult to duplicate by fraudsters. Yes, there is a change coming, but you don’t need to panic and you don’t need to be pressured or scared into buying unnecessary equipment. 1. After October 1, 2015, the liability for card-present fraud will shift from the bank to the business. 2. You can still use your existing terminals as the new cards have the magnetic stripe too. 3. Some newer terminals can still be used with a EMV pin-pad added to them. 4. There is no penalty or extra fee for not being EMV compatible other than the risk of being liable for a fraudulent transaction. 5. 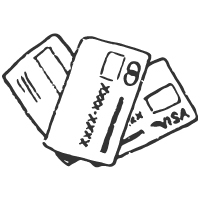 It does not cost more to process EMV transactions, it is just a different form of transaction. 6. If your terminal or POS is a few years old, you should consider a new EMV/ApplePay terminal sooner than later. We are here to help and would be happy to discuss any of your questions with you. Click or call and let us ease your mind with real answers, not some hyped-up sales pitch!